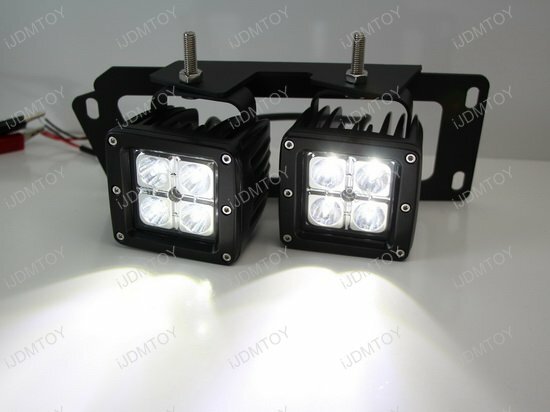 Please note that this pair of dual LED pod lights is meant to fit onto metal bumpers with horizontal fog light openings of the RAM models listed above, and not on those with plastic bumpers. 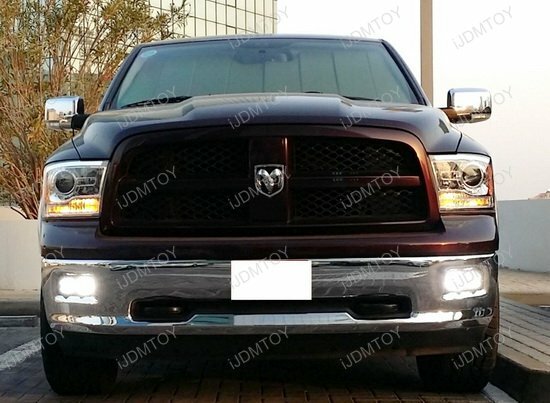 Q: How do I install this Dodge Ram LED fog light kit? 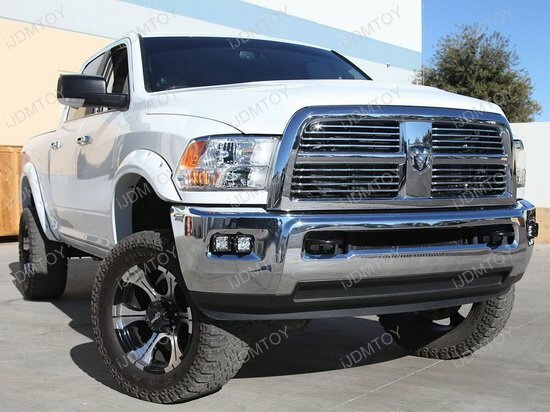 A: The following steps will show you how to install the dual CREE LED fog lights on your 2009-2012 Dodge RAM 1500 or 2010-2018 Dodge RAM 2500 and 3500. 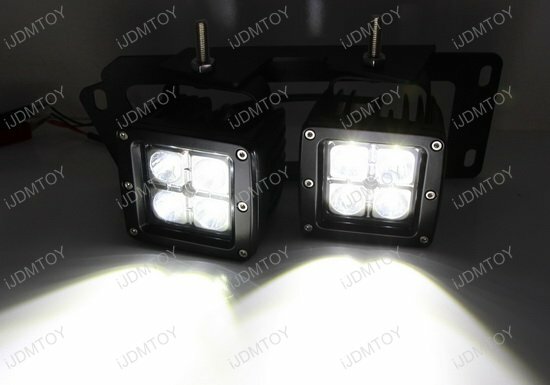 Again, please note this pair of RAM LED pod lights will only fit in metal bumpers with horizontal fog light housings. Step 1: Preassemble the LED pod lights. 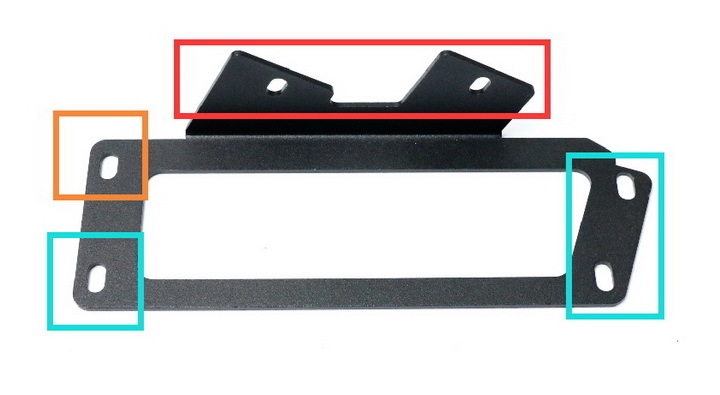 Secure the LED pod lamps to the rectangular metal mounting bracket. Run the closest LED pod light wire through the wire management hole. Step 2: Remove the stock fog lamps by unplugging the stock harness and unscrewing the bolts from the OEM bezel. For demonstration purposes, we've removed the bumper. 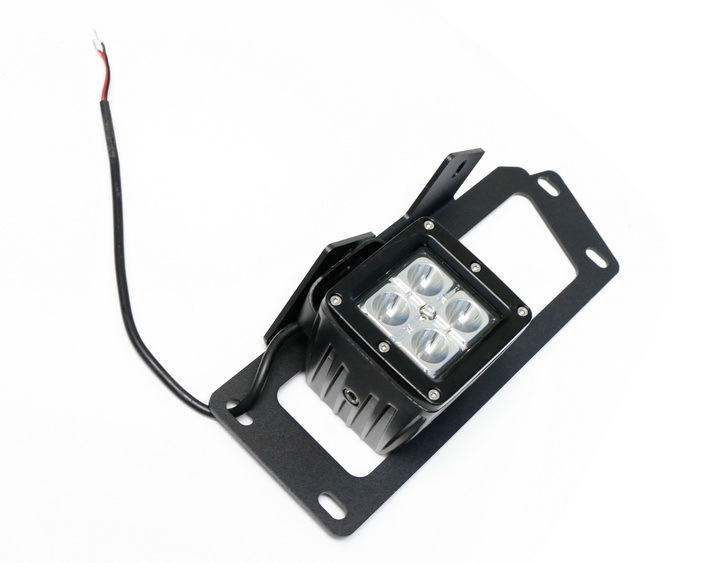 You simply need to reach around from below the bumper to mount the LED podlight bracket assembly. 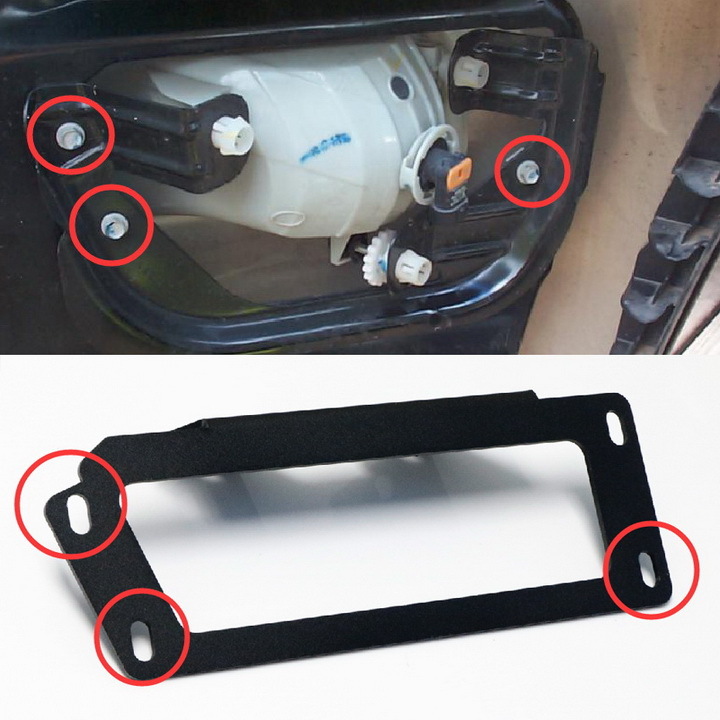 Please note that the horizontal LED pod lights will only fit Dodge RAMs with metal bumpers, as they come with mounting locations on which to secure the LED pod light bracket assembly. 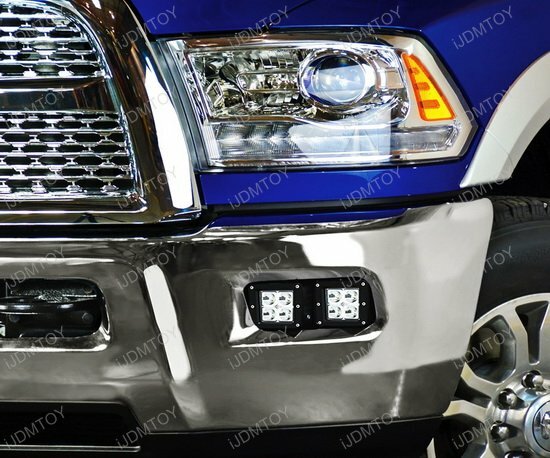 The RAM LED pod lamps will NOT fit on Dodge plastic bumpers. 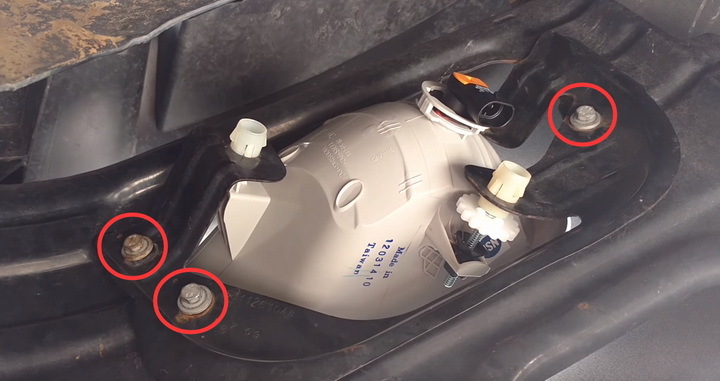 Mount the LED pod lamp bracket assembly by the bolting locations as circled in red below. 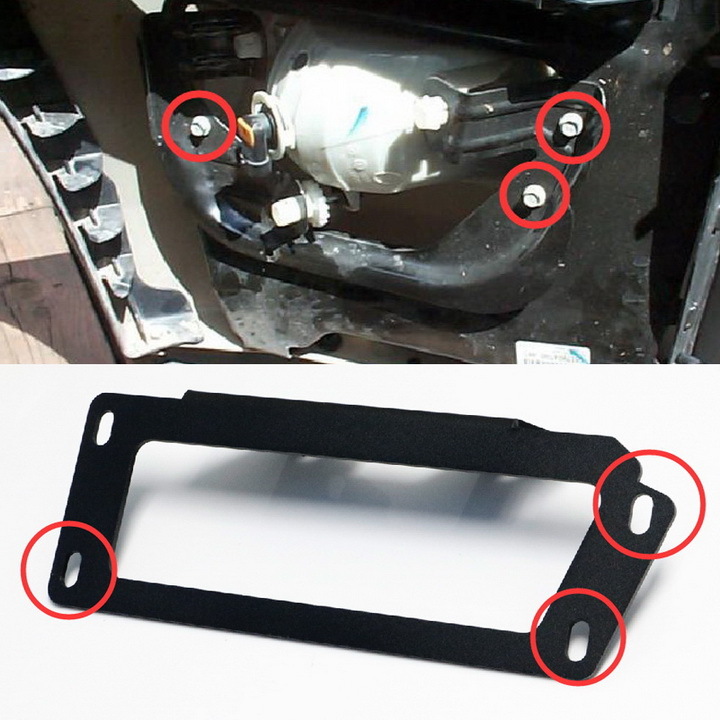 Step 3: Use the included wiring adapters to connect the LED pod light wires to your stock fog light harness. Test the LED fog lights to make sure they light up. 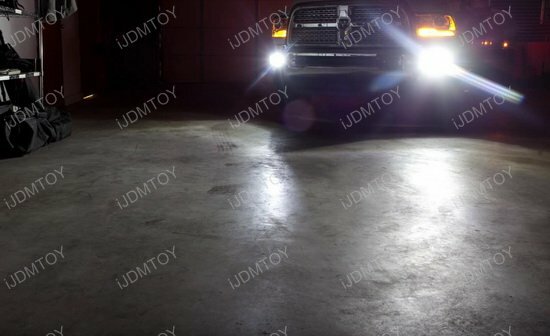 Once you confirmed that it has, you may now enjoy your Dodge RAM's new cubed LED fog light set! 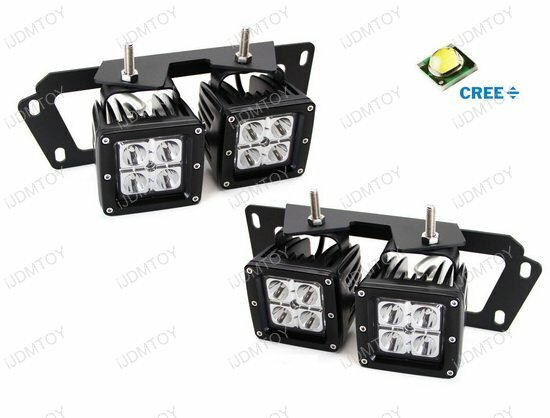 This set features a 4-piece set of high powered CREE LED fog light kit with metal mounting brackets for the 2009-2012 Dodge RAM 1500 or 2010-2018 RAM 2500 3500. 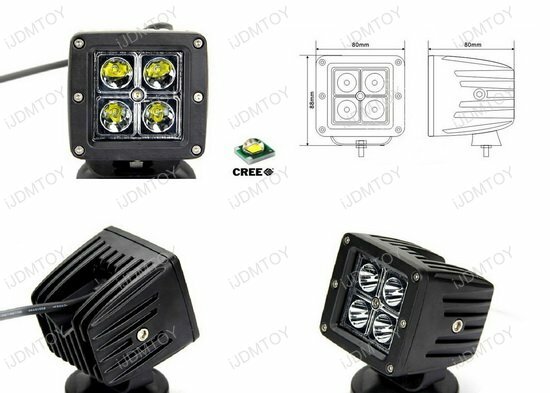 These 3" cube shaped LED lamps have a spot beam output that makes the assembly perfect as heavy duty LED fog light with superior illumination. 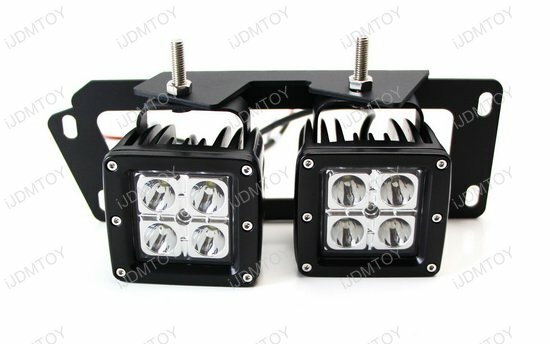 Each kit comes with 4 pieces of cube shaped LED lamps, heavy duty mounting brackets, and wiring adapters for an easy conversion to the existing foglight harness. 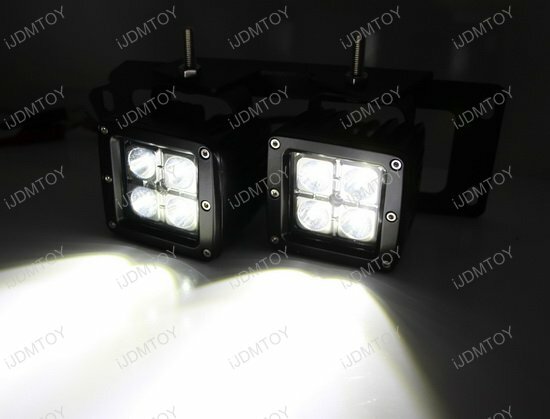 Note: this product will only fit the Dodge RAM 1500/2500/3500 with the metal bumper and the horizontal halogen fog lamps. It will not fit the Dodge RAM with vertical fogs.